If you’ve ever had to call technical support and describe exactly what you’re seeing on your screen, you’ll be familiar with a problem that Comcast are solving for their new X1 set top boxes. Huge North American cable company, Comcast, is currently trialing a new feature on their X1 platform that they’ve called Co-Pilot, which gives you the ability to show their support agents what you’re talking about, not tell them. With Co-Pilot, they can see a customer’s TV screen and - after receiving an on-screen verification code from the customer - take the controls, walking them through the various features that come with their service and resolving any problems without an expensive and inconvenient truck-roll. The device they are controlling is a set top box (STB). The STB is a device connected to your TV which decodes digital signals that arrive over the Comcast network via a cable, translating those signals into the moving images that we see as we flip channels. It is generally also responsible for recording, using its built-in PVR (personal video recording) capabilities, as well as re-purposing Internet content in a way that is TV-friendly. It’s not hard to see that it’s a complicated bit of kit and, like all complicated bits of kit, sometimes it goes wrong or the user needs a helping hand. At that point, "let me show you what's going on" is a very powerful phrase and Co-Pilot is a very powerful feature. 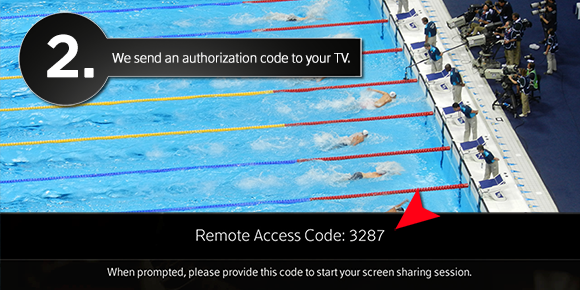 What's more, embedding remote access and control like this needn’t be complicated. Our VNC SDK and VNC Cloud make it simple to build exactly these capabilities into your own product in a matter of hours. We know that it’s your product and so we let you design the workflow and the branding. There’s no need to hand off to a third party tool – a jarring experience for customers. Try it today and see for yourself!